Donna Yeager is a presenter at our next member's meeting on July 14, 2018. 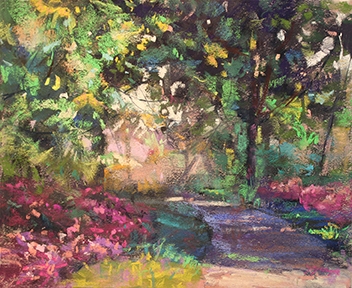 She will be doing a demo stressing dark and light patterns throughout the painting and considering the color wheel for color theory. Join us after the meeting for her mini-workshop. Please email Paula Somma at paulasomma@gmail.com to sign up.